I started this blog back in 2011, when I found out I would be spending a year in Paris. I knew I had to make my time in Paris my own, to put my signature on it. I decided to follow my passions in art, history and literature, and to follow in the footsteps of the American artists and writers who had traveled to Paris before me. Especially the women. I have always been interested in women’s history in the late 19th century. My senior history thesis was on the Woman’s Club Movement in America from 1890-1920. It’s such a great era. 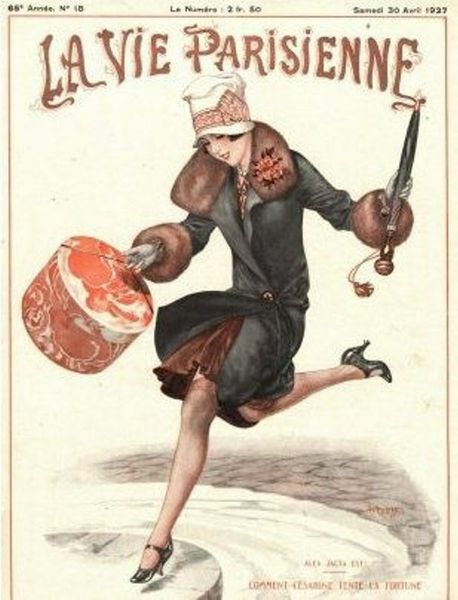 Women’s roles were undergoing a radical change between Victorianism and the era of “The New Woman.” Daring women could take off their corsets, ride a bike, pursue a career, and even travel to Paris with other women. Some of the American women artists and writers who traveled to Paris in those years are well known. We’ve all heard of Mary Cassatt, Edith Wharton and Gertrude Stein. But there were so many more, names who might not be as familiar, like Elizabeth Gardner, Cecilia Beaux, Lilla Cabot Perry, Janet Scudder, The Emmet Sisters, Anna Klumke, May Alcott, and more. What did they hope to find when they came to Paris? How did it change them? What could they teach me about the second half of my life? In the spirit of those adventuresome women who came before, I decided to name my blog after a real boarding house called American Girls Art Club in Paris. 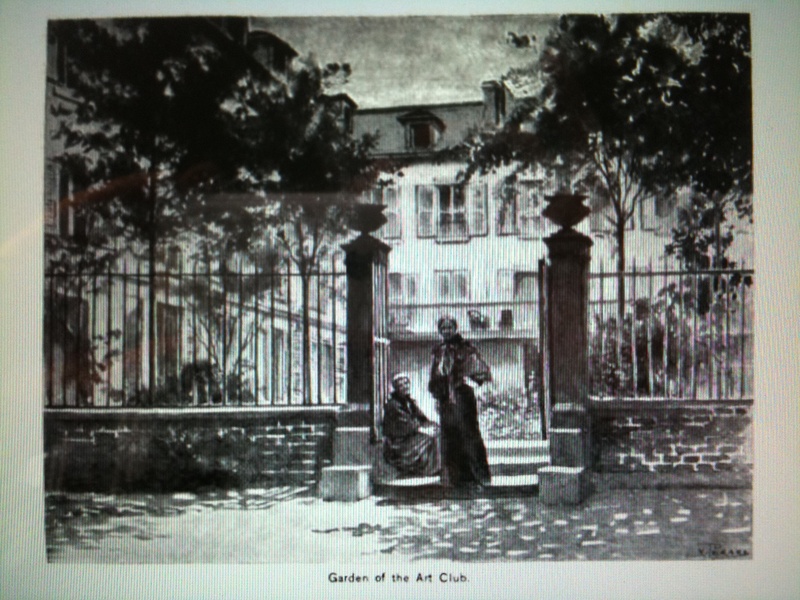 The Club opened its doors In 1893 at 4 Rue de Chevreuse near the Luxembourg Gardens, intending to provide proper room and board to the growing numbers of female art students from the United States. AGAC was a rambling, four-story yellow building with a courtyard and gardens. Click here to read a post I wrote about the history of the Club. I’ve taken what I learned from my year in Paris and have returned to the States for the second half of my life with a renewed sense of inspiration. I update this blog whenever I feel the spirit. Maybe I’ve read a good book set in France or I’ve stumbled upon some interesting tidbit about art, history or travel. I hope you’ll follow along. Feel free to comment on this blog or reach out to me on Twitter at @parisartclub. I can be reached by email at parisartclub@gmail.com. Look forward to following you as I am taking my second trip to Paris this coming Spring 2012. It is my City….adore it…… Good Luck and happy writing…. I love your blog! I nominated you for the Very Inspiring Blog Award. There is more information on my blog. Have you read Une Parisienne à Chicago by Marie Grandin? I’m half way through it right now. An artist and his wife went to Chicago because he had been commission to create a sculpture for the World’s Fair. While he worked she wrote a book of her impressions. Its a fun to read what was different then and compare it to today. I have just discovered your site. It is fantastic. I am a retired surgeon, entrepreneur and artist and I live in Paris for the month of September each year. Had read Sarah’s Key over a year ago and planned to view the geographical points on this visit but I left the book at home… so in searching for info on the Internet I stumbled across this blog. Tomorrow I set out. The post was very helpful.. Every time I come to Paris I bring a French related read. This trip is The Algeria Hotel by Adam Nossiter. I will now explore your blog further, but had to take a minute to say thanks. Are you still in Paris ? Just discovered your blog. Loved the post on The Invention of Wings. Hello. I just started reading Madame Picasso and stumbled upon your blog. I have also read the Paris Wife and Zelda and thoroughly recommend both. I think we are kindred spirits! I am an artist and blogger. I write about art and my travels and books as well! I was lucky enough to accompany my husband to Paris in March and wrote multiple posts about the awesome adventure. If you are interested, my Young Adult historical novel is coming out in June 2016 (Published by Rebelight Publishing, Canada) and is set in Paris in La Belle Epoque, featuring a young woman struggling for acceptance in the world of art: The Art of Rebellion. Are you interested in reviewing it? Not sure if you got my reply. I would love to review your book!! Thanks for asking! Look forward to hearing from you. Hi Brenda, thank you for visiting my blog. I absolutely fell in love with Paris, especially from an art and literary history perspective. I would be honored to review your book! Thank you for asking. Please let me know what the next steps are. I look forward to hearing from you. Hi, I thought I replied, but it doesn’t seem so. As soon as the book is ready for reviews, I’ll get a copy to you; thanks so much! How lovely to find your blog! Next you’re in Paris, with or without your husband & (adult) kids, please look me up if you’d like to go on a treasure hunt at the Louvre or Musee d’Orsay!